SEOUL, South Korea (AP) — A day after threatening long-range rocket launches, North Korea declared Tuesday that it has upgraded and restarted all of its atomic fuel plants so it can produce more — and more sophisticated — nuclear weapons. Neither announcement was entirely unexpected, and outside analysts see the back-to-back warnings as part of a general North Korean playbook of using claimed improvements in its nuclear and missile programs to push for talks with the United States that could eventually provide the impoverished country with concessions and eased sanctions. But the threats could deepen a standoff between North Korea and the U.S. and its allies because they strike at Washington’s fear that each North Korean rocket and nuclear test puts it another big step closer to its stated goal of an arsenal of nuclear-tipped long-range missiles that can hit the U.S. mainland. North Korea has spent decades trying to develop just such a weapon, and while it is thought to have a small arsenal of atomic bombs and an impressive array of short- and medium-range missiles, it has yet to demonstrate that it can produce nuclear bombs small enough to place on a missile or can make reliable long-range missiles. Still, it has conducted three nuclear tests and a series of steadily improving long-range rocket launches, and some analysts see Tuesday’s announcement as foreshadowing an upcoming fourth nuclear test, which would push North Korea further along in its nuclear aims. North Korea, an autocracy run by the same family since 1948, closely controls information about its nuclear program, which it describes as a sovereign right meant to combat U.S. military hostility. As a result, just what is happening at Nyongbyon is unclear. North Korea booted out international inspectors in 2009, and independent assessments by outside experts since then have been spotty. At various points in the decades-long standoff over its nuclear ambitions, North Korea has said it has shut down or restarted its atomic fuel production. In 2013, it said it would restart a plutonium reactor that had been shuttered under a 2007 disarmament agreement. Satellite imagery earlier this year showed signs it still wasn’t operating fully. 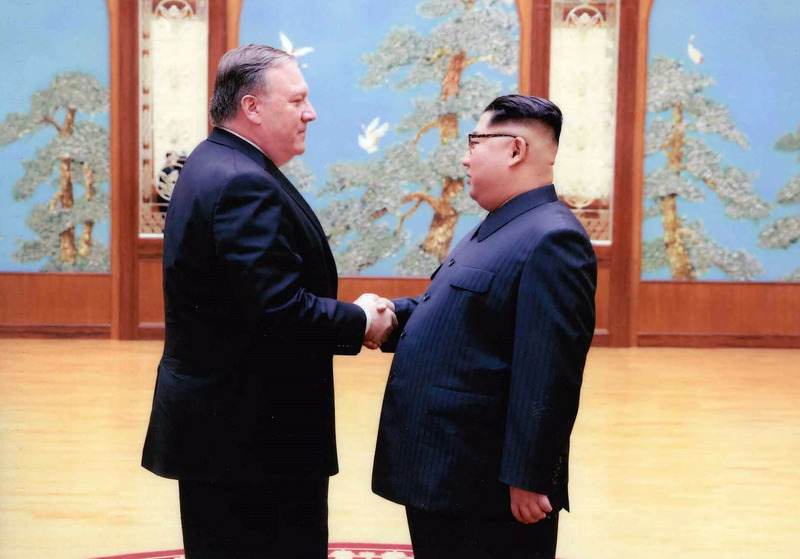 A uranium enrichment facility unveiled to a visiting American scientist in 2010 presumably gives North Korea a second way to make fissile material for bombs. On Monday, the North’s aerospace agency said it is ready to launch new satellites aboard long-range rockets as part of celebrations of next month’s ruling communist party anniversary. The world will “clearly see a series of satellites soaring into the sky at times and locations determined” by the Workers’ Party, an unidentified director at the North’s National Aerospace Development Administration director was quoted as saying by state media. North Korea has said its satellite launches are peaceful and meant for weather observation, but the West considers them covers for banned tests of long-range missiles. After several failures, North Korea put its first satellite into space with a long-range rocket launched in late 2012. The U.N. said it was a banned test of ballistic missile technology and imposed sanctions. Experts say that ballistic missiles and rockets used in satellite launches share similar bodies, engines and other technology. An angry North Korea then conducted its third nuclear test in February 2013, inviting further international condemnation and sanctions. Later that year it threatened Seoul and Washington with nuclear strikes. South Korea’s Defense Ministry said Tuesday that it had not detected any sign indicating North Korea is preparing a rocket launch. China, North Korea’s last major ally and aid benefactor, made it clear that it doesn’t want to see a rocket launch by North Korea, in another indication that it is losing patience with its communist neighbor. North Korea’s latest announcements also raise doubts about recent signs of easing animosities between the rival Koreas, which agreed to hold reunions next month of families separated by the Korean War. Before a thaw, the two Koreas had threatened each other with war in August in the wake of mine explosions blamed on the North that maimed two South Korean soldiers earlier that month. The Korean Peninsula remains in a technical state of war because the 1950-53 Korean War ended with an armistice, not a peace treaty. About 28,500 U.S. troops are stationed in South Korea as deterrence against potential aggression from North Korea. Associated Press news assistant Liu Zheng in Beijing contributed to this report.